As part of a parenting plan, first we must establish what times of the year constitute “holidays” for child custody purposes. The obvious ones include Thanksgiving, Christmas and New Year’s. However, most parenting plans also provide special schedules for the children’s spring and summer school breaks. Other holidays that parents may account for in their custody parenting plans include Halloween, Memorial Day, Labor Day, and Independence Day. In fact, the parenting plan form approved by the Florida Supreme Court contains a checklist that includes the aforementioned holidays, as well as a few others. None of these holidays are actually required to be designated as such, yet most litigating parents will set aside at least a few of them for separate time-sharing arrangements. Florida appellate courts have deemed that a family law judge commits an abuse of discretion by awarding unequal holiday custody time-sharing without an express finding as to why it would not be in the children’s best interests. Todd v. Todd-Guillaume, 972 So. 2d 1003 (Fla. 4th DCA 2008). And family law judges understand that holidays carry an emotional significance beyond the ordinary day-to-day schedule, and that most children should share those bonding opportunities equally with both parents. Therefore, absent extraordinary circumstances, both parents are entitled to roughly 50% time-sharing during holiday periods, even when during the rest of the year it is far from 50-50. In other words, even the parent whose child custody plan is every other weekend will almost certainly be entitled to having Christmas, Thanksgiving and the Spring and Summer school breaks equally apportioned. How the holidays are split equally is usually reserved for the mediation table. No statute or case law dictates how exactly these breaks from school are to be distributed. A common arrangement includes rotating the Thanksgiving and Spring breaks in alternate years, while splitting the Christmas and Summer breaks in half. With parents who celebrate Christmas, one parent will usually take the first half of the children’s Christmas school vacation, up to a certain time on Christmas Day, while the other parent takes the remainder of the vacation. The parents then reverse this schedule on alternating years. 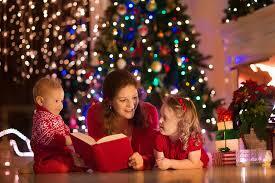 Thus, each parent can wake up with the children on Christmas morning every other year. If you have questions about holiday child custody plans with your children, or any other family law issue, feel free to contact AAA Family Law at (407) 260-6001 and schedule a free child custody lawyer consultation with me by phone or at our office in Altamonte Springs. I will listen to your family law issues. Then I will suggest if there is any legal action needed and what the plan is the plan for that action. Please, read the range of attorney retainer fees charged by AAA Family Law for each type of case in Our Retainer Fee Policies.